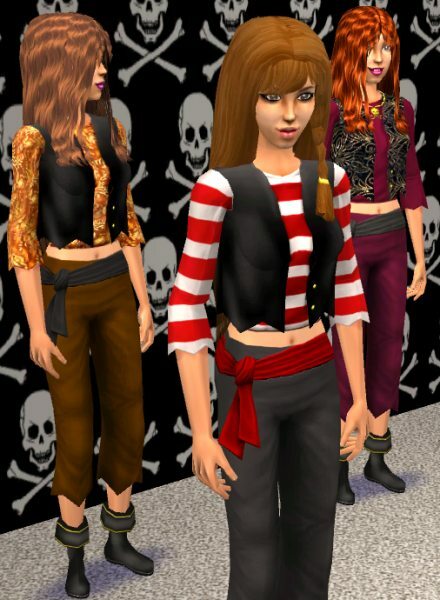 A set of pirate outfits for your teen girls - these are similar to the the Maxis children's pirate outfits, with the addition of boots. They will also work with all Maxis separate bottoms, and all user made top/bottom meshes that have working fit/fat states. The meshs have working fit/fat states, and working bump mapping. The mesh file is named: "MESH_DPXL080106topTFpirateVest.package"